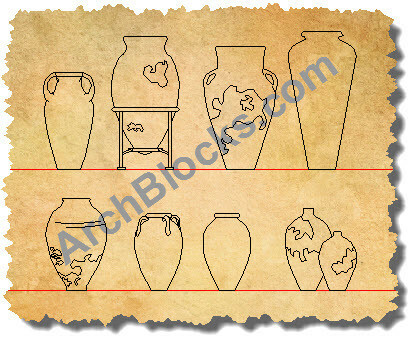 Great set of CAD blocks for vases and pots. These CAD symbols can be used for both exterior and interior design projects. You won't find a library like this on web anywhere! This CAD Blocks library is available to Download NOW! This ArchBlocks.com product comes with a 100% satisfaction or your money back guarantee!